British Medical Association Writing Competition runner-up and junior doctor, Lucy Mant, asks the pertinent question 'Do you know what I mean?' Lucy reflects on the times when she debated, by then grit her teeth and fronted up with the truth. "Since I began to think more about the truth, aside from occasional feelings of teenage embarrassment, my predominant feeling has been one of pleasant surprise. Through replacing my bravado with the pure and simple truth, I have had many wonderful learning experiences." Junior doctors and medical students can identify with and learn from these true and honestly recounted scenarios! This competition submission was published July 26, 2013 on the BMA website, click on the title link to read the full article. Other excellent Writing Competition entries are also posted on the BMA website. 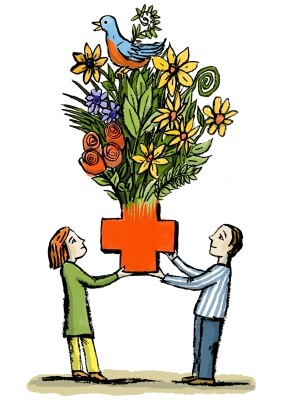 "When you or your loved one is facing a serious illness, the last thing you want to worry about is how much it will cost". FAIR Health, a national independent, not-for-profit corporation, has created a website to help you. The FH Consumer Cost Lookup is a free tool to provide you with an honest estimate of costs for medical and dental services by geographical area, as well as what you can expect your insurer to cover. FAIR Health uses its database of billions of billed medical and dental services to power this free website enabling consumers to estimate and plan for their medical and dental expenditures. In addition the site provides many other resources, videos and guides to help you make informed decisions about your health care. Please joins us for another session of the Dean's Grand Rounds on Friday August 2 at 12:15 in the UMHS Auditorium. 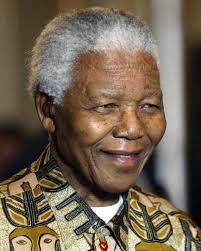 "The Legacy of Longevity of Madiba (Nelson Mandela)". UPDATE: Now watch this event on You Tube. The History of Medicine Division at the National Library of Medicine (NLM) has launched a new blog entitled Circulating Now. The goal is to "encourage exploration and discovery of one of the world’s largest and most treasured history of medicine collections". will being with a series of posts about NLM’s and others’ medical history collections by focusing on a particular historical event of significance to the history of medicine and the history of the United States. The series topic is all about "the assassination of, and attempts to save, the twentieth president of the United States, James A. Garfield, which occurred 132 years ago this summer". All you history of medicine buffs ~ explore and enjoy!